Our work is through our partners. The Center for Community Change supports and strengthens partner groups and unites them in coalitions that can wield power. 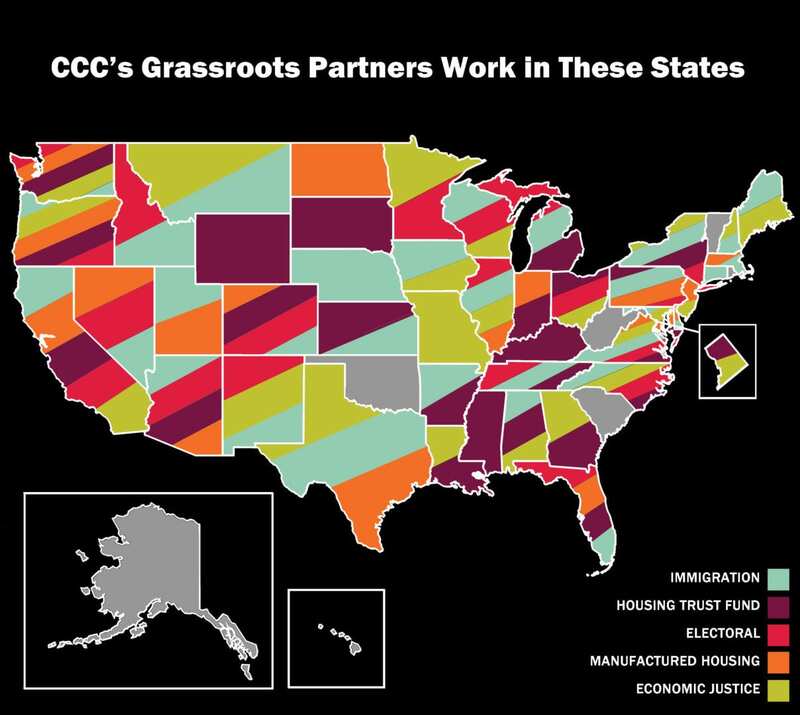 We work with grassroots organizations whose leaders and members come from the low-income communities and communities of color that are CCC’s constituents. Our partners are multi-issue, multi-ethnic and multicultural. They are rural, urban, and suburban. What they have in common is the conviction that regular people can change things, and that community organizations and grassroots leaders are best suited to lead that change.